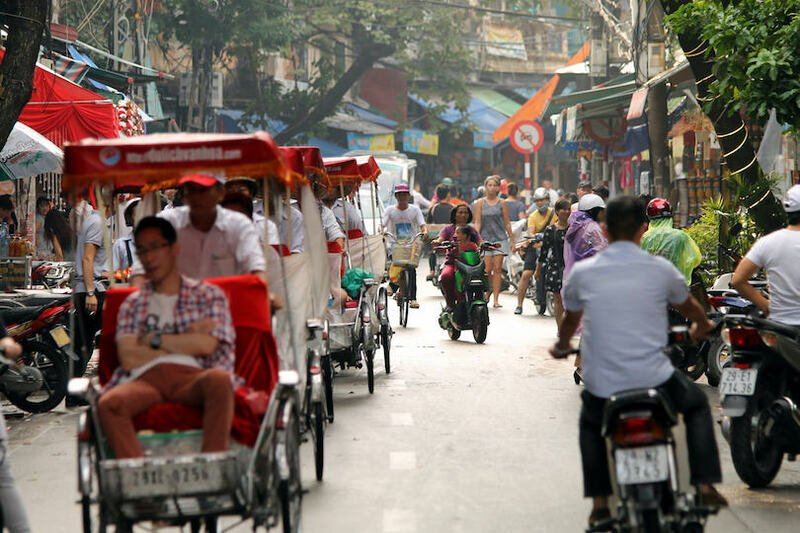 Hanoi is the beautiful bustling Vietnamese capital which attracts many travelers with its authentic and breathtaking old French architecture and charming streets lined with vendors who seem to always be serving delicious and very reasonably priced Vietnamese street food. 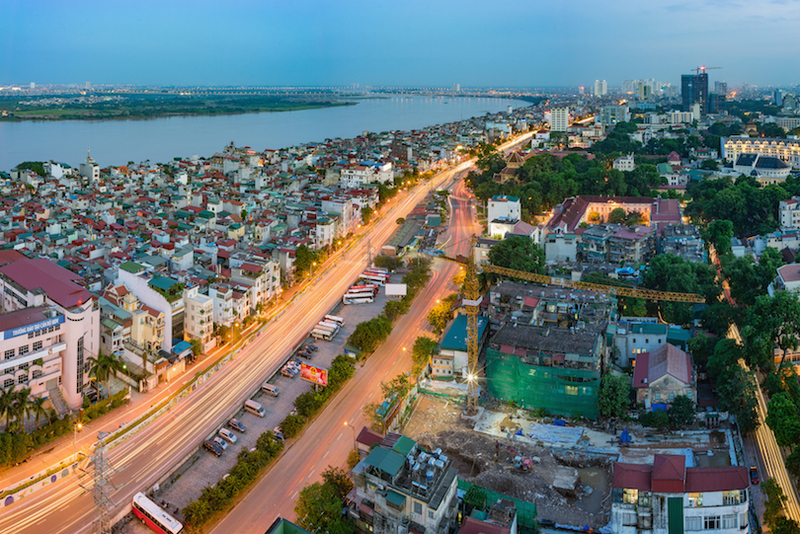 Then there are the more modern and developed parts of the city, catering to the Vietnamese professionals and students these areas have their own charm and show off a Vietnam of the future. Whatever you expect from Hanoi, you are sure to be surprised with every corner you walk around by the depth of culture, the deliciousness of the food and the never ending friendliness of the people. 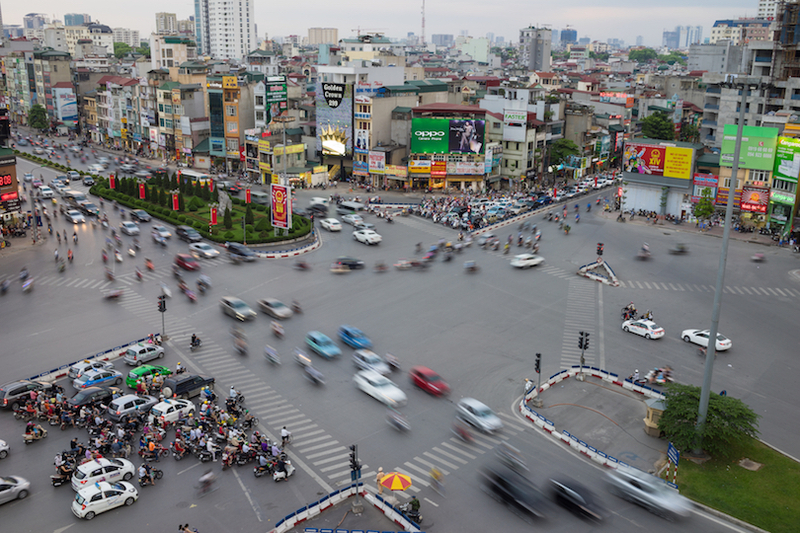 It’s time for you to explore Hanoi for yourself and find out what the compelling capital has in store for you. 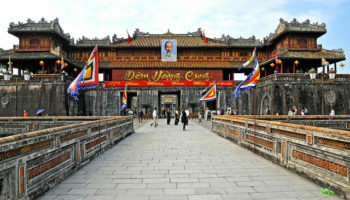 The following is a list of the most popular areas to help you decide where to stay in Hanoi. The beautiful central district of Hoan Kiem in Hanoi is home to Hanoi’s old town and French quarter, and this place is quintessentially the image of Hanoi. Crumbling colonial buildings house classically Vietnamese shops and eateries. This is Hanoi at its most beautiful and is where many of the streams of tourists choose to stay in Hanoi. There is a range of accommodation available around the old streets: backpackers have a great selection of hostels to choose from and hotels are extremely reasonable, offering a high standard of cleanliness as well as service. Often hotels in this district are decorated with traditional large mahogany furniture. One of the best things to do in Hoan Kiem is simply just to sit and watch as the magic of Hanoi’s daily life happens around you. Sip on a strong, sweet Vietnamese coffee on a street corner cafe and watch the streams of scooters skillfully manoeuvre their way through the traffic, the ladies serving up sloshing bowls of pho hour after hour and vendors selling fruit and other wares on the back of push bikes, calling out in Vietnamese to passers-by to let them know what they have to sell. Public transport in the district is non-existent, but many of the main tourist attractions are in walking distance as well as restaurants, bars and the weekend market that take over some of the quarter’s streets on a Friday evening. 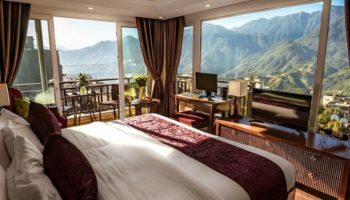 Apricot Hotel – This high-end hotel is full of luxury and modern comforts – and with all of that at an affordable price, you’re never going to want to leave. The interiors here are stunningly beautiful, with touches of neoclassical style making this place truly a sumptuous place to stay. Everything from the large, lavish bedrooms to the guest lounges decorated with chandeliers and gold fabric is wonderful. It makes for the perfect escape from the busy city streets. Soak up views of Lake Hoan Kiem from the rooftop, where you can also grab a drink. O’Gallery Premier Hotel – O’Gallery Premier Hotel is a modern boutique offering with sleek, stylish common areas and rooms with deluxe interiors – think dark wood and plush furnishings. There are a range of rooms on offer, from those with big balconies to exquisite suites complete with lounges. You can expect high standards of service at this 4-star hotel, which also features a spa. This hotel boasts a great location – it’s just 400 meters from St Joseph’s Cathedral, as well as close to Ngoc Son Temple for some nearby sightseeing. You can organize a tour through the hotel. MK Premier Boutique Hotel – Right in the middle of Hanoi’s Old Quarter and a stone’s throw from the old City Gate, this boutique hotel is the perfect combination of traditional style and modern comfort. It’s a great place to stay if you’re looking to soak up the frenetic pace of life in this part of the city. Staying here is all about returning to beautiful dinners at the romantic dining area and rooftop bar, away from the sights and sounds of the city below. This hotel boasts a hot tub as well as a spa. The Hanoian Hotel – The Hanoian Hotel is a great choice for a budget hotel in the Old Quarter. You’ll find this one close to Dong Xuan Market as well as the lively weekend Night Market, making this hotel a great choice for anybody looking for an affordable base from which to explore this interesting part of Hanoi. Rooms are clean, very comfortable, and offer great value for money. The friendly staff here create a wonderful environment – they’re always very welcoming and helpful. There’s a restaurant on site which serves up Vietnamese food, plus a tasty buffet breakfast. Not so long ago Tay Ho was a group of sleepy fishing villages near the edge of the city, but over the past decade the area has exploded with high-end residential developments. Now instead of fishermen you can expect to find a modern district with a range of shops, restaurants and nightlife. Built around the Ho Tay lake (West Lake), the neighborhood is a great choice for those looking for a little contemporary comfort in a hectic city. New boutiques and stylish eateries have been opened up in the district by a creative expat community who have populated this newly developed area along with locals who are looking for something new. On Saturday morning Tay Ho’s weekend market buzzes with locals shopping for organic honey and authentic Vietnamese products and offers a fantastic opportunity to pick up some unique gifts. Much of the accommodation in the area is made up of mid to high-end hotels but rooms are often still relatively reasonable. Some of the hotels in the area have views of the beautiful lake. The city’s big sites can be reached on foot, but taxis are easy to come by and will take you to your destination. Elegant Suites Westlake – A very large and modern hotel complex, Elegant Suites Westlake features spacious studios and apartments – perfect for people staying in the city for a long period of time or for those visiting the Vietnamese capital with their family. The rooms are well maintained and are decorated in a fashionable yet authentically traditional style. The location of this hotel might not be amidst all the action of the Old Quarter, but it is a little quieter. There’s also a pool here, which is great for children to splash around in. InterContinental Hanoi Westlake – This Hanoi branch of the InterContinental hotel chain is a sprawling, high-class hotel, complete with all the trimmings that you’d expect of a luxurious 5-star stay. Set right on the shores of West Lake, with rooms that are actually on the waterfront itself (on reclaimed land), InterContinental Hanoi Westlake is the place to stay if you’re looking for pure, unadulterated luxury. 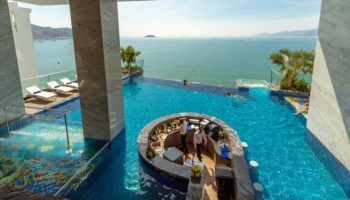 There are three restaurants here, a beautiful pool, as well as a sublime sunset bar, plus a ‘Diplomat Lounge’ for stylish, low key drinks. There’s lots of outdoor space where you can enjoy yoga and massages. Somerset West Lake Hanoi – This hotel consists of rooms as well as studios that work well for families visiting Hanoi; each room comes equipped with a kitchen, which is good for rustling up your own meals, and some come with balconies. There’s a children’s playground plus an indoor play area. You won’t have to worry about location; it’s easy to get to the center of the city from here since the hotel puts on a complimentary shuttle service. Somerset West Lake Hanoi is large, clean and features picturesque views of West Lake. 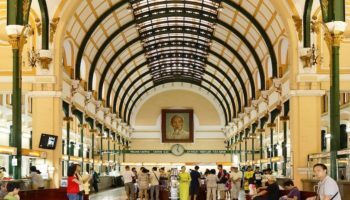 Most visitors to Hanoi will find themselves in Ba Dinh at some point in their trip, home to some of the city’s top tourist attractions, where you will find the compelling Military Museum and the Old Citadel. 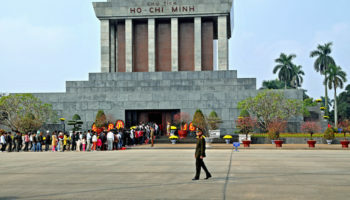 It is also where Ho Chi Minh’s body is on public view in his mausoleum. The neighborhood is the political center of Vietnam: it is from here that Ho Chi Minh famously declared independence from the French in 1945 and where the national assembly is located along with most of the embassies, meaning the streets are much quieter compared to the Old Quarter. 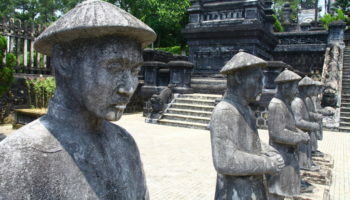 The historical and culturally important Temple of Literature is also found in the district, which with its ongoing history and links with great Vietnamese scholars is a top site in Hanoi. If you want something a little more laid back and reserved to base yourself for your stay in the Northern capital then Ba Dinh might be the district for you. 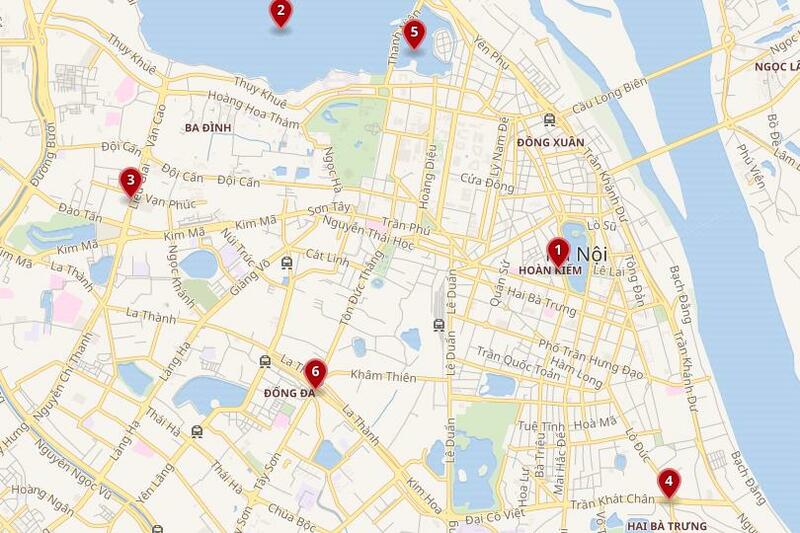 As with many of the central areas, a lot of places of interest around Hanoi are accessible on foot. Accommodation around Ba Dinh is mostly made up of mid-range hotels alongside a few quaint restaurants, and a smattering of small bars close to Hanoi Botanical Gardens. 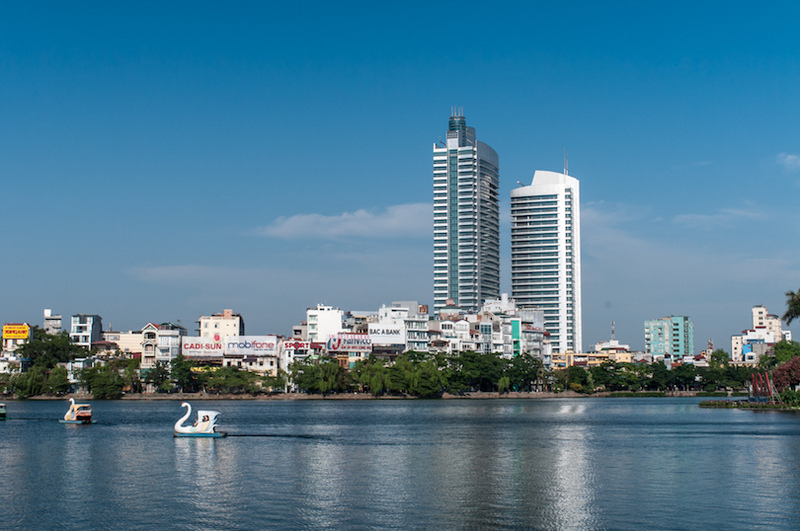 Hanoi Daewoo Hotel – One of the most famous hotels in Vietnam, this 5-star offering is right next to Hanoi Zoo as well as the giant Lotte Department Store, so there’s plenty to see and do nearby. The modern, classic rooms look out over Thu Le Park (and lake of the same name) and provide stylish, relaxing spaces to stay during your time in Hanoi. There are three restaurants to dine in at Hanoi Daewoo Hotel, and it has its own bakery and a chic little bar for a few evening drinks. Lotte Hotel Hanoi – This decidedly upmarket hotel is located in the Lotte Centre, which is housed in its own skyscraper dominating the Hanoi skyline in this part of the city. Staying here means staying in rooms high up with views of the city far below. Everything here is maintained to the highest standards, and it is decorated in beautiful, minimalistic style – there’s an amazing choice of textures and use of space going on here. The rooftop terrace is another level of breathtaking – this has to be one of the best places in the whole city for sunset cocktails. Super Hotel Candle – An elegant offering, Super Hotel Candle is located close to many excellent restaurants as well as Ngoc Khanh Lake and Thu Le Park. This 4-star hotel boasts many luxuries, including a Japanese style bath and a heated pool. There’s also a spa so you can relax after a hectic day on Hanoi’s busy streets. There’s a guest lounge for you to chill out in on every floor. 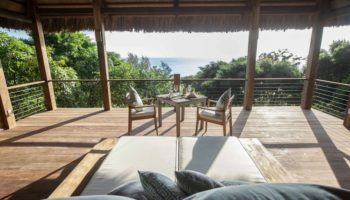 Some of the rooms feature small kitchens for extra convenience, whilst others are perfect spaces of chilled comfort with neutral decor and great views. Busy and urban Hai Ba trung is the district for entertainment, it is where you can find Hanois cinemas and shopping set amongst modern skyscrapers. This is where many of Hanoi’s locals live and is home to universities meaning a thriving student community. In the northern part of the district attractive tree-lined French architecture offers a more picturesque side to the area. 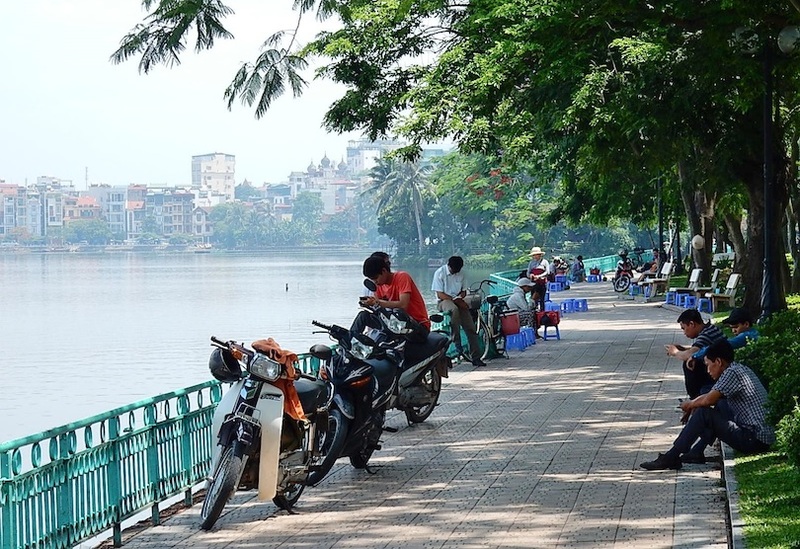 And green and leafy Thong Nhat Park is a peaceful place to picnic with friends and take a stroll around Hồ Bảy Mẫu Lake. Visitors who are into clothes shopping will enjoy browsing in the Vietnamese fashion boutiques or shopping for bigger labels at the huge Time City mall. The mall even has its own aquarium where stingrays float over your head in the viewing tunnel. Finish up busy days exploring the streets with a Vietnamese coffee at one of the many trendy cafes and hang out with the students. Most places in the city are an easy taxi ride or walk away from Hai Ba Trung and there are many eateries to choose from, whether you want to eat local food or dine in more upscale restaurants there is something for everyone. Accommodation in the quarter is varied and modern 5-star luxury is surprisingly affordable. Parkside Sunline Hotel – Contemporary rooms with dark wood and a selection of suite sizes available, the Parkside Sunline Hotel also features interesting design elements and great city views. A perfect place to stay for those who are traveling on business, some rooms come complete with balconies and there’s strong Wi-Fi, too. There’s a well-equipped gym, perfect for keeping up with your workouts, as well as a spa where you can get a relaxing massage. The restaurant here serves local and international food – and you get to dine with great skyline views. Blue Hanoi Inn Legend Hotel – Blue Hanoi Inn Legend Hotel may be a little bit outside the main buzz of Hanoi, but it’s still close to the main railway station. This place provides a high level of service, with staff that are always willing to help out with anything – including tips on what to see and how to get around the city. The rooms are spacious and warmly decorated with white wood, and come complete with large windows with views of the city. There’s a restaurant, bar, and breakfast buffets. If you want to stay in a neighborhood in Hanoi that is a little more peaceful and offers you the chance to relax after a busy day walking the city’s streets then Truc Bach could be the place for you. Truc Bach isn’t an area with a whole lot of famous tourist attractions, but there is still a wealth of interesting streets to explore and delicious food to sample. 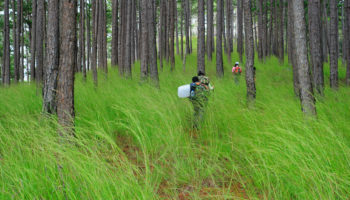 There is a sizeable expat community living among the locals in the area and with that there are many eateries that cater to the Western inhabitants of Truc Bach – so if you are looking for a little home comfort among all of the noodles and rice then you will probably be able to find it here. Set alongside Truc Bach lake the district offers some wonderful views across the lake, and a stroll along the water’s edge offers a little serenity among the scooter laden streets. There are many coffee shops along the lake for you to try out and some restaurants which serve frog hot pot for the more intrepid explorers to sample in the evenings. 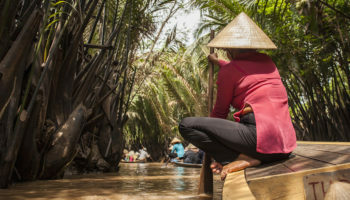 Another place to explore in the district is the area close to the Chau Long Pagoda, where you will find the Chau Long wet market with locals busily shopping for fish for their supper and fresh fruit sellers selling reasonably priced watermelon to refresh you in the tropical heat. The hotels in the area are mid-range but prices can be very reasonable and rooms can be booked for a snip. Other parts of the city, as ever, are walkable but you can use the ever-present cyclos – just make sure to negotiate on prices! Pan Pacific Hanoi – The Pan Pacific Hanoi hotel is a great place to stay if you’re looking for a real slice of luxury in the Vietnamese capital. The rooms at this lavish hotel boast views of West Lake, Truc Bac Lake, and the Red River. The location here is great; it’s close enough to the bustling Old Quarter that you can get there easily, but far enough away that you can still go for lovely lakeside strolls. There’s a wide choice of rooms to suit all sorts of guests. There’s a heated indoor pool too. 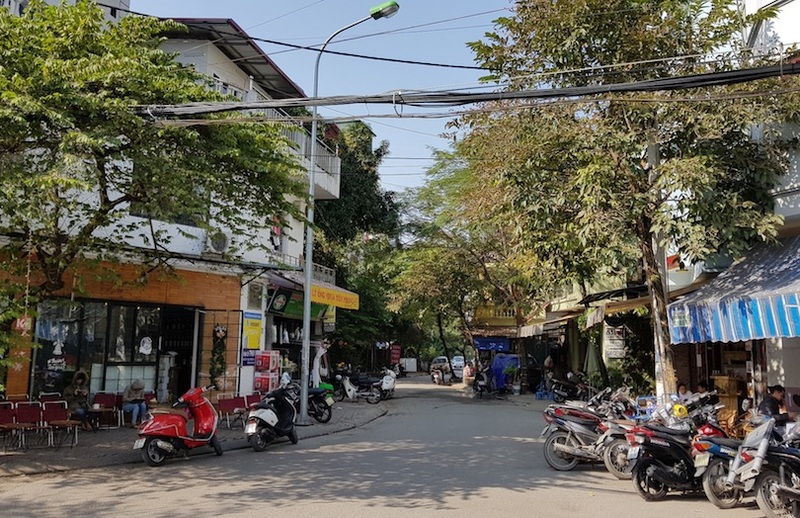 This is one of the original four districts that make up the Vietnamese capital and, aside from a few sites, is mainly made up of middle class residential neighborhoods. 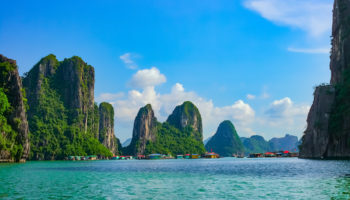 The area is busy with traditional Thai food stalls and small local cafes serving up truly delicious Vietnamese noodle soup to the local community. You should try out the speciality street-side mango salad here for just a few dong. There are higher end restaurants in the area too which serve up Vietnamese classics in comfortable and cosy settings. Dong Da borders the Ba Dinh district where many of the top, culturally important sites in the city can be found and most are a short walk or a quick cyclo ride away from the hotels in Dong Da. The Temple of Literature, a Confucian temple complex and home to the country’s first university, is also really close by, located on the border of Ba Dinh at the north end. In the evenings you can find yourself being entertained with the locals at lively karaoke bars or sip on cold beers at local bars. Accommodation in the area tends to lean towards more expensive and doesn’t offer a lot of choice if you are traveling on a tight budget, but if you have a little more to spare you can get yourself a comfortable room in a nice hotel in a fun local neighborhood that is close to a lot of the action in Hanoi. 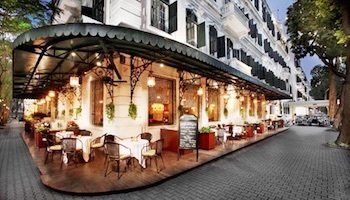 Blue Hanoi Inn Luxury Hotel – This is a great choice for a budget hotel in Hanoi. Rooms are decorated in simple, minimalistic style and feature comfortable beds and modern ensuites. There’s the option to choose a family suite, but elsewhere, other upgraded rooms come with large windows boasting city views. This place is clean, contemporary, and an all-around good option. There’s even a restaurant on site for evening meals when venturing into the city just seems a little too much for you. You’ll also get the chance to relax at the spa with various treatments on offer. These descriptions of the neighbourhoods are great 🙂 We have been to Hanoi 3 times now and stayed in Hoan Kiem, Ba Dinh and West Lake. All do offer a different experience. For me, I would choose between Hoan Kiem and Ba Dinh. 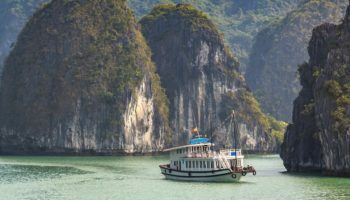 On our last trip, we spent a month in Ba Dinh and even though it is home to some main tourist attractions, we felt it was still very authentic and had a strong local feel.